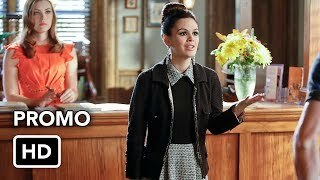 Hart of Dixie 3×07 “I Run To You” – Zoe (Rachel Bilson) beings to grow leery of how much time Joel (guest star Josh Cooke) and Wade (Wilson Bethel) hang out, especially when it begins to interfere with Joel’s writing. Ready to blame it all on Wade, Zoe does her best to entice Joel back into writing. Lavon (Cress Williams) is using the excuse of coaching his track team to avoid talking to AnnaBeth (Kaitlyn Black). Meanwhile, Lemon (Jaime King) encourages Brick (Tim Matheson) to start dating again. George (Scott Porter) and Lynly (guest star Antoinette Robertson) discuss whether they want to talk to Lavon about their feelings for each other. Brandi Bradburn directed the episode written Sheila Lawrence (#307).